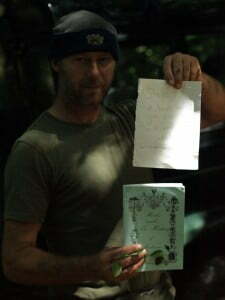 Here I am with the letter, book and some mint from Duchess lake. What a surprise! On one of my rare days off, I thought I would take a wander through the woods with my two dogs. 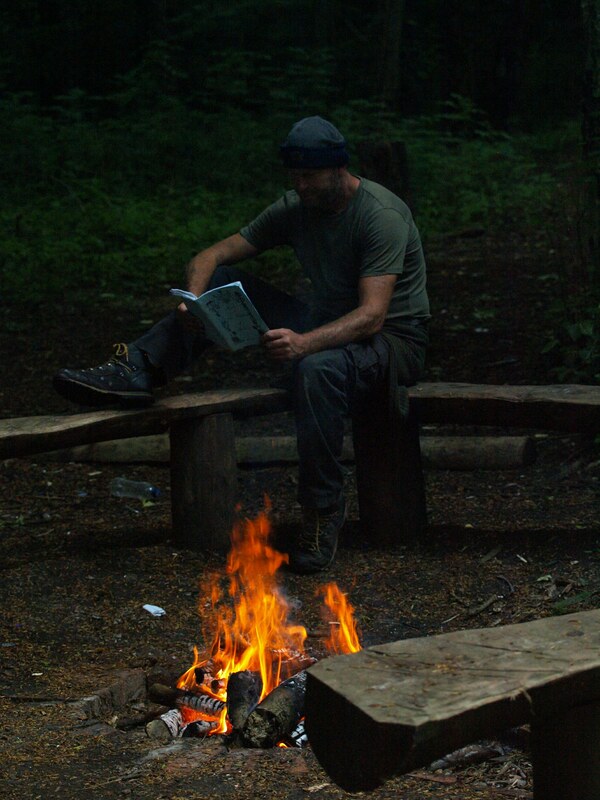 Even when I’m not working, I love to spend some time at the ‘camp’ within the woods, just to have a tidy up and enjoy a small camp fire. There’s nothing quite like spending some quiet time looking into the flames of a natural fire, is there? 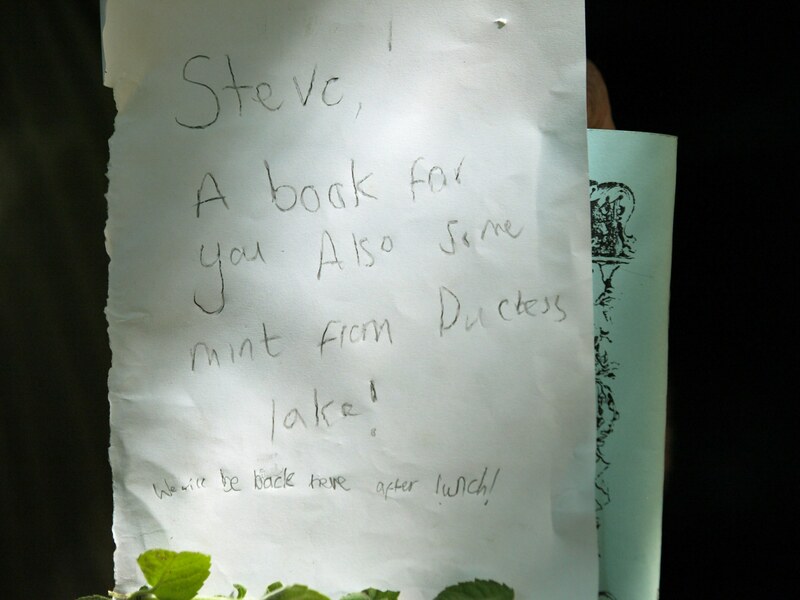 Well I must admit, it was such a lovely surprise, I just sat there and read the letter several times, and thought to myself how wonderful for a child to do something like that for me. As I had the camp fire going, I sat in the woods reading away all about what plants can do what for you, and all of a sudden I heard the sound of voices; it was the family who left the book for me had returned to see if I had found it. After thanking them for their kindness, we all sat around the camp fire talking all about nature and trees, and I am so glad we did too because I had learned so much from the children that day. There’s nothing like reading a good book by a fire. Thank you Emma and Ruth, what a fantastic gesture.